Baby League is designed for young children aged 2-5 years. Its goal is to spark children’s curiosity and imagination. It also aims to enhance young children’s sensibility through the use of their five senses. 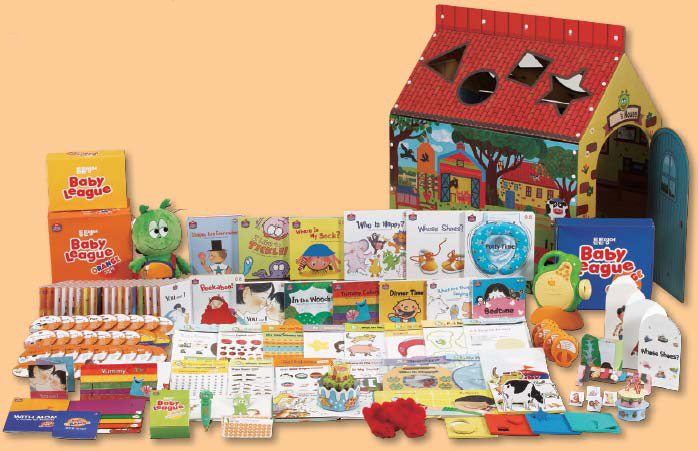 Toy Books and other various learning materials will encourage toddlers to discover that books are fun. It will also help them engage their five senses to learn about themselves and the world around them. series are designed to help children’s physical, sensory, and cognitive development. The main characters were created by TunTun English editors and Pororo story writers. The play activity material will help children to learn English in a fun and entertaining way. music or the sounds of nature. Being a textbook designed for young children who are experiencing the English language for the first time, the textbook’s story concerns daily life, allowing children to listen to and become familiar with English words. 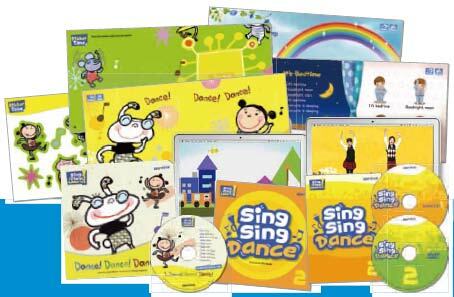 Also by following along to the songs and dances, included in the DVD and songbook, children can familiarize themselves with expressing English with their mouths and bodies.